What future for the last ‘306’? 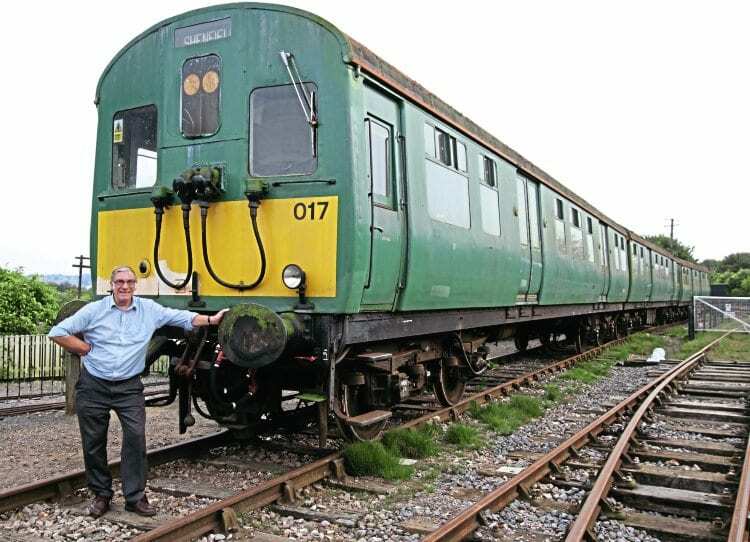 Christopher Westcott reports on the sole surviving Class 306 unit No. 306017, which is owned by the National Railway Museum but currently on loan to the East Anglian Railway Museum at Chappel & Wakes Colne in Essex. A VISIT to the East Anglian Railway Museum in early August reacquainted me with preserved EMU No. 306017, the sole survivor of the class. I had last seen it at the Old Oak Depot Open Day way back in August 2000, when it had looked smart in green livery with small yellow cab warning panels. Back then, one car had been accessible and I remember being impressed by the art deco decorative light shades and veneered wood that adorned the car. However, 16 years on and having been stored in the open for some time, the unit now has significant external weathering. Its green paintwork was peeling, revealing layers of British Rail blue, British Railways green and even small exposed areas of corroding steel. Additionally the roof appeared to be in poor condition, suggesting that internal damage could have taken place. During my August visit to the Essex museum, there was no opportunity to inspect whether water had managed to get inside the passenger compartments of the unit – although there was access to the cab of driving car No. 65617.